In China, Valentine’s Day is called the ‘Lovers Festival’, however, Valentine's Day on February 14 is not celebrated because it is often too close to the Chinese New Year, which is usually in January or February. The Chinese observe the ‘Chinese Valentine's Day’ or Qixi Festival on the 7th day of the 7th month of the Chinese calendar, celebrating the mythical cowherd and weaver girl’s annual meeting. In Finland, Valentine's Day is calledYstävänpäivä, which translates into "Friend's Day", when friends as well as lovers are honoured. In Estonia, Valentine’s Day is called Sõbrapäev, and is celebrated similar to Finland. In Greece, the 3rd of July is the feast of Hyacinth of Caesarea, who is traditionally the Saint who protects people who are in love, however, St. Valentine's Day on 14th February, to show undying love, is becoming more popular. In Iran, the Sepandarmazgan (or Esfandegan) is a festival where people express love towards their mothers and wives, and it is also a celebration of earth in ancient Persian culture. In Israel, the Jewish tradition of Tu B’Avhas been revived and transformed into the Jewish equivalent of Valentine's Day, celebrated on the 15th of August. Traditionally girls would wear white dresses and dance in the vineyards, where the boys would be waiting for them. In modern times, Tu Be'av is celebrated as a second holiday of love to Saint Valentine's Day. In Japan, the custom that only women give chocolates to men appears to have originated from the translation error of a chocolate-company during initial advertising campaigns. Gifts of chocolate are given to lovers but also to male co-workers on the 14th of February. A reply day was created on March 14th, called ‘White Day,’ for men to return the gesture, but with better gifts. An actual romantic night is celebrated on Christmas Eve. In many Latin American countries Valentine's Day is known as ‘Día del Amor y la Amistad’ (Day of Love and Friendship), Costa Rica, Dominican Republic, Ecuador, Mexico and Puerto Rico among others. It is also usual for people to do nice things to show their appreciation of family and friends. 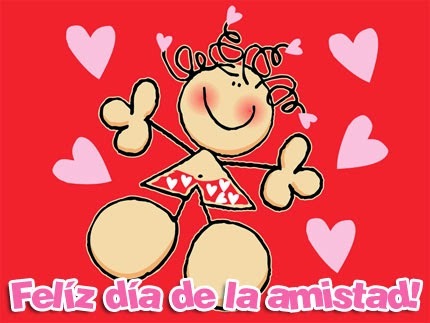 Often the Día del amor y la amistad and the Amigo secreto ("Secret friend"), which is similar to the Christmas Kris Kindle, are usually celebrated together on the 14th of February. In Guatemala, Valentine’s Day is known as the ‘Día del Cariño’ (‘Affection Day’). In Brazil, the Dia dos Namorados (‘Lovers' Day’, or ‘Boyfriends'/Girlfriends' Day’) is celebrated on June 12, the day before St Anthony’s Day, who is their marriage saint. Single women perform rituals, called simpatias, to find a good husband or boyfriend, while couples exchange gifts. The February 14th / Valentine's Day is not celebrated at all because it usually falls too near the week long Brazilian Carnival. In Colombia, Día del amor y la amistad and the Amigo secreto ("Secret friend") is celebrated on the third Saturday in September. In Portugal, Valentine's Day is called ‘Dia dos Namorados’ (Lover's Day or Day of the Enamoured). In Sweden, Valentine’s Day is called ‘Alla hjärtans (‘All Hearts Day’). In Spain, Valentine's Day is known as ‘San Valentin.’ In Catalonia, they celebrate ‘La Diada de Sant Jordi’ (Saint George’s Day) on the 23rd. In Taiwan, three days of love are celebrated -- Valentine’s Day, White Day and on the seventh day of the seventh month, when single people go to their temple to burn incense and pray to meet a partner. In Wales, the patron saint of Welsh lovers is St. Dwynwen and he is celebrated on January 25th ‘Dydd Santes Dwynwen’ (St. Dwynwen’s Day). Valentine's Day is also celebrated. Check out more Valentine's features at our Grá XOXO headquarters page.